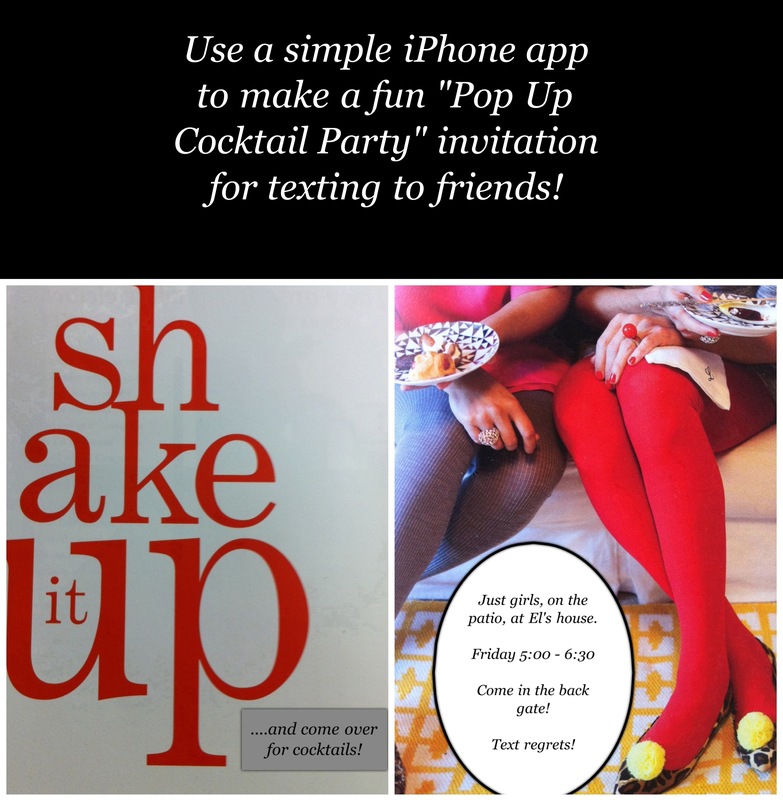 Design a Cocktail Party Invitation to text to your friends!!! Impromtu “Pop Up” Cocktail Parties are such fun! Sometimes, ideas just Spring themselves on you (sorry, I couldn’t resist)! Like this morning I was cleaning out my studio and came across this wonderful issue of Anthology Magazine. Looking for a reason to take a break after cleaning for a whole 20 minutes, I sat down to thumb through the pages and realized I had already read this issue…….but also remembered that there was an awesome cocktail party photo spread! Then I thought…”hey! I should have a cocktail party today!! !….or maybe tomorrow!! !” But what’s a girl to do when there is only 24 hours until said cocktail party arrives and no time to send out invitations…..or even Evites?…….and then it occurred to me…..what about a text invitation?…….but those kind of things can be soooo boring! Not to worry! With the help of the camera on my phone (iPhone) and an awesome app called Photogene, I designed an invitation to text to my friends to alert them of soon to be flowing libations — wahooo! …….and then I remembered I have a party to go to tomorrow night…….and I would have to clean up the patio…….hmmmm maybe another Friday evening in the near future. At least I got the invitation done before I remembered I couldn’t have the party! Here is how to do it! By the way, I think this is legal because it is not for publication and is for personal use but you might check it out if you worry about such things. 2. & 3. Take photo of fabulous photos……take a close up shot. 4. Get this amazing app called Photogene from the app store. 5. 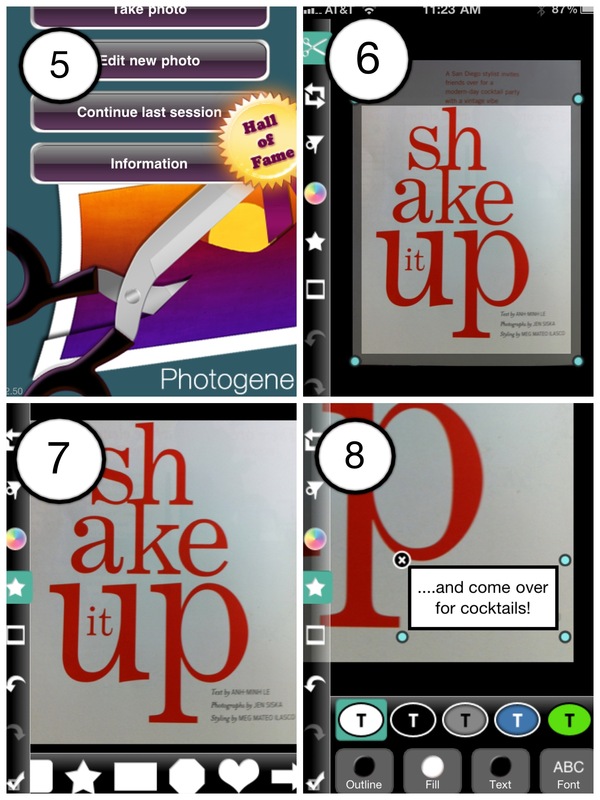 Open Photogene app and choose “edit new photo”, pick your photo from “Camera Roll” and wait for it to load. 6. 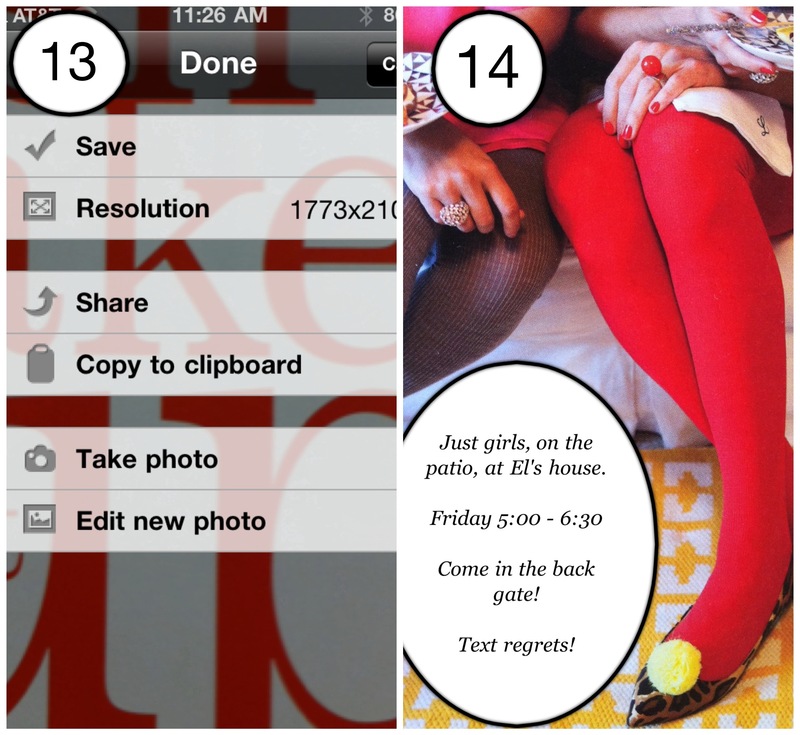 Click on scissors icon in upper left corner of app and drag the green dots to where you want to crop your picture. 7. Click on Star icon and swipe left on bottom bar to choose the rectangle shape. Tap, hold and drag the rectangle shape onto your photo. 8. Double tap on the rectangle and wait for the keyboard to appear. Type in your text. 9. Click outline and pick the top left corner gray button to choose no outline. 10. Click on Font and choose your font. 11. Click on Fill and choose the upper right corner gray. 12. Click anywhere on the image to get rid of all the options. Click the lower left corner “check mark”. 14. 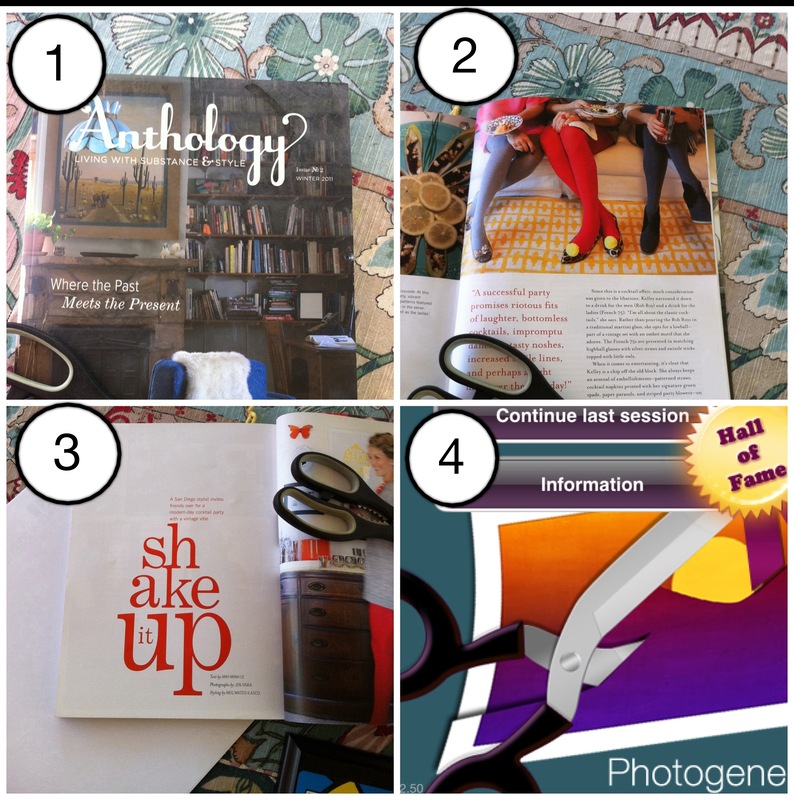 Do all of the above steps for your next photo. 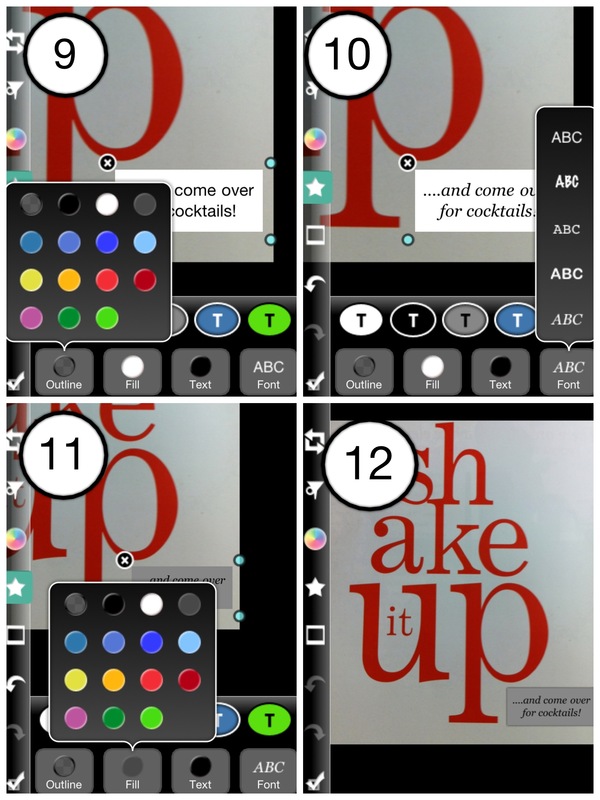 Now, press your “Home button” on the bottom of your phone screen, go to your photos and text them to your friends for a “Pop Up Cocktail Party”! « Older Post How to Make Hollow Eggs, Dye, Dry and Decorate them….the easy way! » Newer Post How to make a perfectly matched set of ear wires every time!